"The BIGGEST Little Museum in Cornwall"
The museum is housed in a Georgian building on Fore Street in central Lostwithiel. It was originally the Corn Exchange and has also been a school-room, a butchers, then a magistrate's court and the town jail. Nowadays the building houses the Guildhall, which is used for meetings of Lostwithiel Town Council, above the museum. The museum was founded in 1972 and it is now is now a fully accredited museum and a registered charity, which is run entirely by volunteers. The museum is now open Monday to Friday 10.30-4.30. We also open on public holidays and town event days such as LostFest and Dickensian Evening. Occasionally the museum opens Saturday mornings. Entry is free, but donations very welcome. 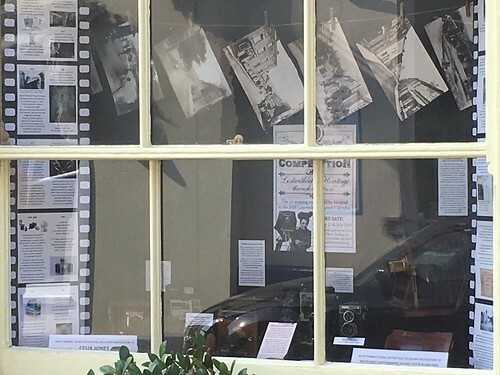 Thanks to South West Photography School, Peter Bland FRPS, and Christopher Mansfield for the generous loan of their cameras and Celia Jones for the window sponsorship.